New Druzy Gallery with lotz a color! I have listed about half of the new druzy cabs that arrived. If you like color in your jewelry creations you will love these. 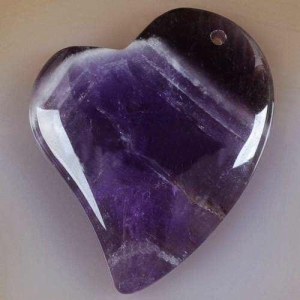 Most are around quarter size, perfect for feminine pendants. 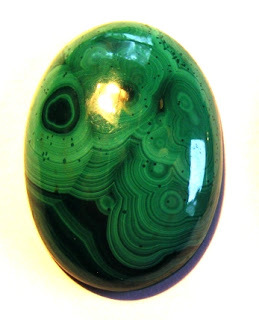 Just listed this fabulous bullseye Malachite cabochon. One of the most difficult stone to acquire is a stone with this kind of pattern. Since I’ve received more than a few questions about Carat Weight, I thought it might help to provide information about the subject. 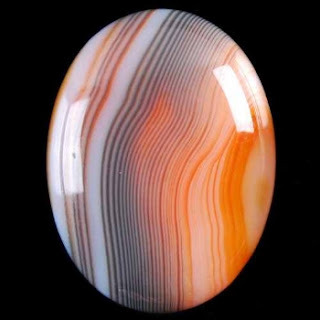 In general the question asked most often is: How many carats is a 30mm x 22mm (for example) cabochon? I assume that since there are many new people joining the jewelry making scene that is why the question keeps coming up. There is density or hardness (Mohs Scale) to consider, because we aren’t talking about diamonds here. A porous stone will weigh less, even though it is the exact same calibrated size. 2. 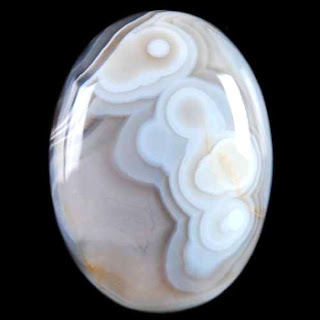 The thickness of a cabochon has to be considered. Most cabochons or focal beads are in the 5mm to 7mm range. The two cabochons are exactly the same 30mm x 22mm x 7mm. The orbital agate carat weight is 37.8 cts. 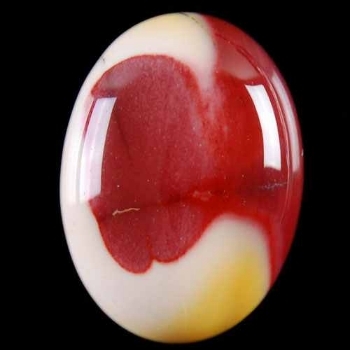 And the Mookaite is 36.4cts. For new jewelry designers here are a couple other items that seem to be confusing. Cabochons for the most part are not drilled. Cabs are generally flat on the bottom and domed on the top. 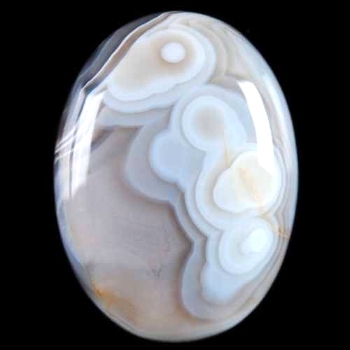 Cabochons can be double domed, in other words, the edges are rounded. Double domed cabs are great for wire wrapping, not good for bezel settings. Calibrated sizes are standard sizes such as 30mm x 22mm or 40mm x 30mm. If a cut stone isn’t a standard size it is considered a freeform. 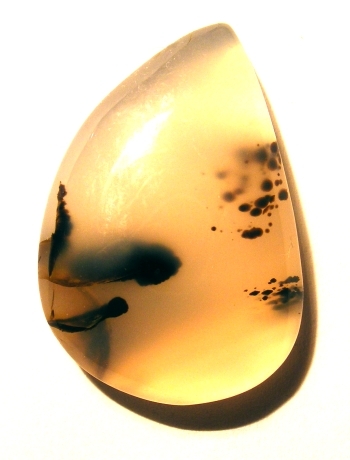 I've got many new striking and stand out agates coming. 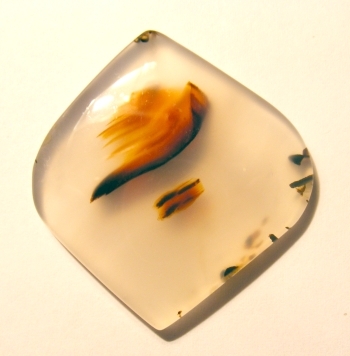 I just listed this one; for jewelry cabs, on the agates page, click on the picture to go to the listing. One of the many reasons I love agates is that they take a fabulous shine. On the down side they can be difficult to photograph because of all that shine. I don't know where January went; I've been so busy cataloging, measuring, weighing and taking pictures the time just blew away. I've been restocking and will be for awhile, my stock was getting seriously low. the turquoise is almost gone. I'm trying to find something special but it isn't an easy task when you want to buy in volume, there is a lot of junk out there. I have however, found some fabulous Malachite and Lapis; both all natural. If you take the time to check pricing I think you will be very happy with the pricing. The Lapis has a good amount of gold in it, from Afghanistan; as nice as it is I think it probably came from old stock. Malachite now has it's own gallery and so does Lapis. If you like druzy, I've got over 1000 cts on the way, in all kinds of stunning colors but it will be a bit before that gets listed. Thanks for all the interest and purchases you made already in 2012!